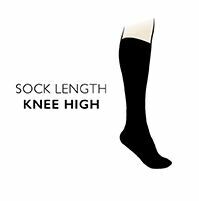 Massaging and stimulating legs for ‘staying power’, these ladies HJ Hall Energisox Compression Socks are soft and cotton rich, with graduated compression woven in, helping to increase circulation, assist in reducing swollen ankles and revitalise legs. The massaging effect helps keep you feeling fresh and active for longer through the day. HJ Hall’s patented Softop™ non-elastic comfort top adds a honeycomb weave that holds legs without unnecessary tightness. They also incorporate hand linked toes for smooth seams, calf support panels and a rib structure ankle for added flexibility during movement.